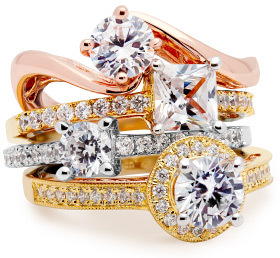 As you can see, the process will take you through three stages; choosing your gold, style, and diamond type. Once you have chosen all three elements you will see the final item in all its glory. We will then direct you to the nearest Clogau stockist who will be able to supply your chosen ring.